There is very little in the depths of a UK winter for the aviation enthusiast to look forwards too. There are the memories of summer airshows which in 2014 produced some truly ground breaking display items such as the Canadian Lancaster visit. There is also the chance to look forwards to the upcoming display season, but in February that all seems a very long way off. As the cold dark long nights drag on there is a glimmer of hope, or if you like a bolt of Lightning, when the Lightning Preservation Group (LPG) hold their annual Night Shoot. Layers of warm clothing, hats and gloves are a necessity as like most airfields, Bruntingthorpe is not known as being a pleasant place to be outside in the depths of winter. As the light faded to darkness the Lightnings were repositioned back onto the pan in front of the Q Sheds. The area was wetted down to give the chance of reflections in the water and lighting was set up. A number of set piece scenarios were staged using LPG members who braved the cold to "freeze" for long exposure photographs. The set pieces were used to show what a QRA shed would have looked like in the Cold War period. Quick Reaction Alert was and is still part of the UK's air defence system. 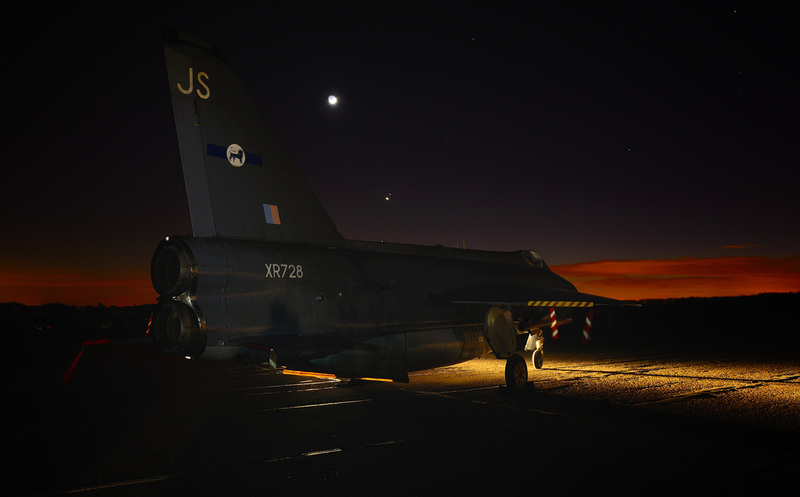 During the Cold War aircraft were primed and ready to react to any threat to UK Airspace, at 10 minute readiness, 24 hours a day, 365/6 days a year. The RAF air and ground crew were billeted in a crew room attached to the QRA Shed. Long hours of waiting would often entail until the sound of a Klaxon spurred crews into action. On a fairly frequent basis the Russian's would send over their strategic bombers, such as the Tupolev TU-95 Bear, to probe and test the RAF's reaction to their approach to UK Airspace. There are many pictures of Lightnings, Phantoms and F.3 Tornados shadowing the huge Russian aircraft. Today RAF Eurofighter Typhoons perform the QRA role from RAF Coningsby and Leuchars with a Flight detached to the Falkland Islands. Typhoons continue to intercept Russian bombers as they approach UK Airspace, which in recent times have been increasing in frequency, along with airliners and light aircraft that are having trouble communicating with ATC. The popularity of the Lightning never appears to decrease as can be attested by the number of enthusiasts that turn up to the LPG's events. 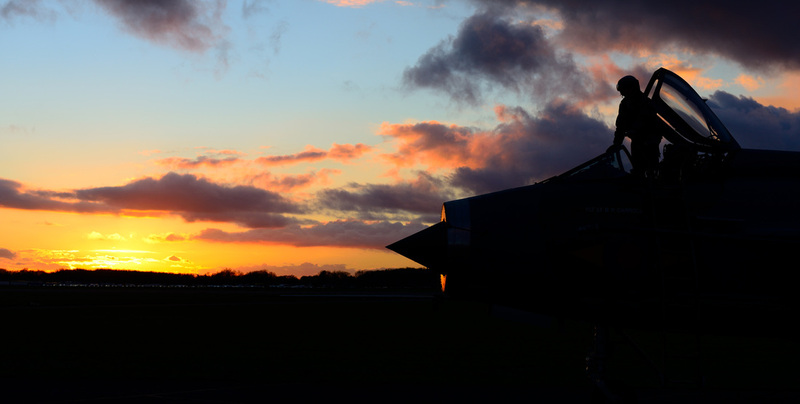 For an aircraft that was only meant to have a lifespan of 10 years, but went on to be in service for 28 years, the Lightning never fails to stir the thoughts and imagination of the aviation world. The LPG have built something unique at Bruntingthorpe, for where else can one witness what it was like to be on a front line RAF station, tasked to defend the UK's airspace in the days of the Cold War. Sheer hard work and determination by the LPG keeps the two Lightnings alive and the ongoing attendance by enthusiasts at such events will ensure continuation into the future. 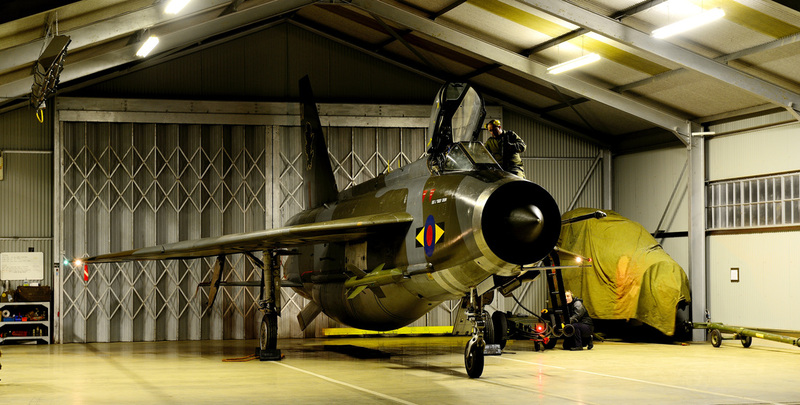 At this time fund raising is taking place to bring the LPG's latest acquisition, Lightning F.3 XR713, currently located at RAF Leuchars to Bruntingthorpe. 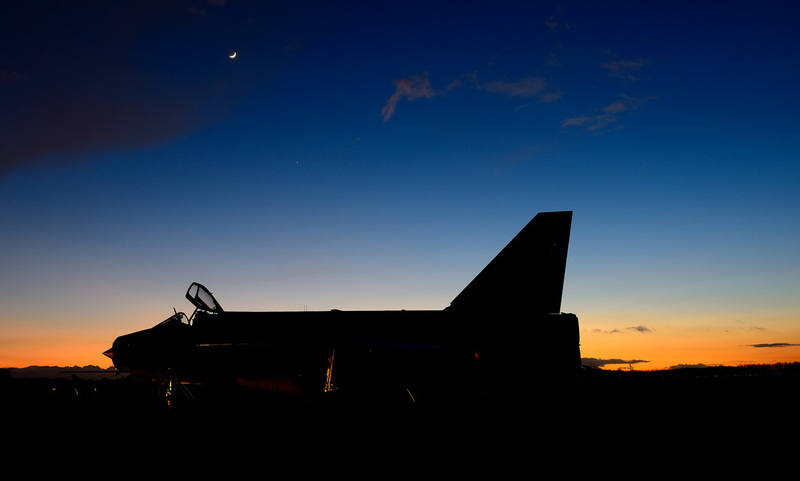 This gives the hope that maybe at the 2016 Night Shoot a third Lightning will be in attendance to delight photographers and enthusiasts alike.